Grand Summit Hotel at Canyons Village in Vail Resorts’ Park City mountain resort in Utah, will undergo an extensive $15 million renovation this spring and subsequent flagging as a RockResorts property. The renovations will bring the hotel up to par with both its unrivaled location at the base of the largest ski resort in the United States and the modern luxury its guests expect in a travel experience. 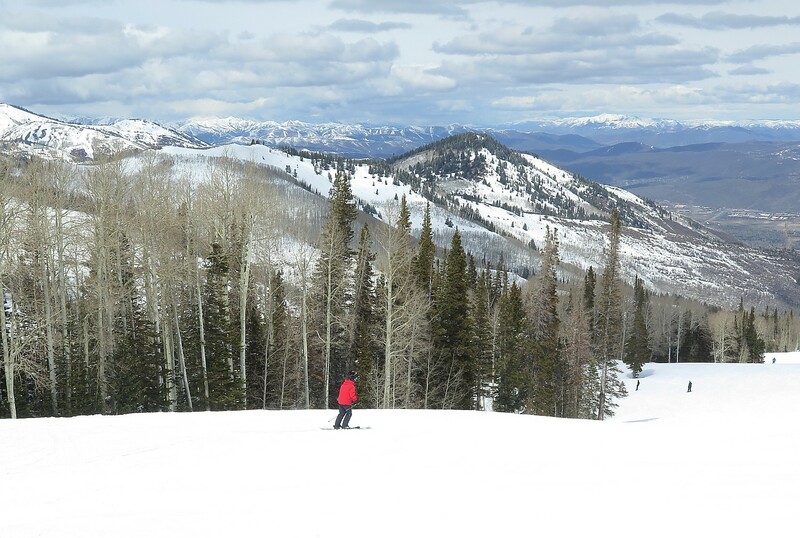 The property will temporarily close from April 17, 2017 – in conjunction with the close of Park City Mountain’s ski and snowboard season – through mid-summer. The renovation will include a complete overhaul of all 212 suites, including new interior finishes, furnishings, soft goods, appliances, artwork and technology. The property’s communal spaces will also be incorporated into the renovation, including the lobby and front desk, full remodel of the on-site spa, café and general store, and refresh of the conference and meeting spaces. The interior design work will be conducted by Boulder, Colo.-based TRH Interior Design, which has also designed and transformed other Vail Resorts properties such as Crystal Peak Lodge in Breckenridge, Colo., as well as other luxury mountain properties such as the Westin Snowmass Resort and the Lumiere Hotel in Telluride. Following the extensive renovation, the Grand Summit Hotel will be flagged as a RockResort. RockResorts, a division of Vail Resorts, owns and operates a collection of premium properties, lavish RockResorts Spas and distinctive dining options in iconic mountain locations. The Grand Summit Hotel sits majestically in the heart of Canyons Village at Park City. Its 212 lock-off suites provide guests with more than 290 lodging options, including hotel rooms, studios, one-, two- and three-bedroom suites and expansive luxury penthouses. Many rooms have balconies, fireplaces, double showers and full kitchens with service for eight guests. The Grand Summit’s heated outdoor swimming pool is an ideal place to relax after an adventurous day of exploring the outdoors year round. More information about Grand Summit Hotel can be found here. RockResorts, a wholly owned subsidiary of Vail Resorts, owns and operates luxury resorts that offer casually elegant accommodations, lavish RockResorts Spas, renowned golf courses, award-winning dining and a variety of exciting outdoor adventures. The RockResorts collection includes The Arrabelle at Vail Square and The Lodge at Vail in Vail, Colo.; The Osprey at Beaver Creek and The Pines Lodge in Beaver Creek, Colo.; and One Ski Hill Place in Breckenridge, Colo.
Vail Resorts, Inc subsidiaries operate 10 world-class mountain resorts and three urban ski areas, including Vail, Beaver Creek, Breckenridge and Keystone in Colorado; Park City in Utah; Heavenly, Northstar and Kirkwood in the Lake Tahoe area of California and Nevada; Perisher in Australia; Whistler Blackcomb in Canada; Afton Alps in Minnesota, Mt. Brighton in Michigan and Wilmot Mountain in Wisconsin. The Company owns and/or manages a collection of casually elegant hotels under the RockResorts brand, as well as the Grand Teton Lodge Company in Jackson Hole, Wyo. Vail Resorts Development Company is the real estate planning and development subsidiary of Vail Resorts, Inc. Vail Resorts is a publicly held company traded on the New York Stock Exchange (NYSE: MTN). The Vail Resorts company website is www.vailresorts.com and consumer website is www.snow.com. Vail Resorts is moving to complete the acquisition of Stowe Mountain Resort, Vermont, which would be the company’s first resort on the East Coast, and would give East Coast skiers more of a reason to buy the Epic Pass. Vail Resorts, Inc. in February entered an agreement to acquire Stowe Mountain Resort from Mt. Mansfield Company, Inc., a wholly owned subsidiary of American International Group, Inc. (AIG), for a purchase price of $50 million, subject to certain adjustments. Stowe Mountain Resort will be Vail Resorts’ first mountain resort on the East Coast and complements the Company’s network of 10 world-class mountain resorts and three urban ski areas. This acquisition brings together Vail Resorts, a leading mountain resort operator, with AIG Global Real Estate (AIGGRE), a major real estate developer, which share a common vision for the long-term success of Stowe Mountain Resort as a premier, high-end resort for skiers and snowboarders on the East Coast. Vail Resorts is acquiring all of the assets related to the mountain operations of the resort, including base area skier services (food and beverage, retail and rental, lift ticket offices and ski and snowboard school facilities) at Mount Mansfield and Spruce Peak. Other facilities such as the Stowe Mountain Lodge, Stowe Mountain Club, Stowe Country Club and certain real estate owned and held for potential future development will be retained by MMC. “We’re thrilled to add Stowe Mountain Resort to our family of world-class mountain resorts. With the investments in both mountain infrastructure and base area facilities that AIG has made over the years, Stowe Mountain Resort has become the premier, high-end resort for East Coast skiers and snowboarders. We look forward to working with AIG to continue enhancing the guest experience and to ensure the resort’s long-term success,” said Rob Katz, chairman and chief executive officer of Vail Resorts. Stowe Mountain Resort in Stowe, Vt., has undergone major capital and facilities improvements including the Spruce Peak Adventure Center, the new Meadows Quad on Spruce Peak, Evolution Stowe’s RFID tickets, passes and gates and the new Shops at Spruce Peak. Spruce Peak also has new high-speed lifts, new base facilities and gourmet restaurants. MMC will retain ownership of the renowned Stowe Mountain Lodge at Stowe Mountain Resort, a 312-room hotel and spa that has already been recognized as one of the greenest and most luxurious mountainside hotels in the world, and additional slopeside real estate opportunities. This transaction is subject to Vermont administrative review. At closing, the purchase price will be adjusted for certain agreed upon terms, including a reduction (or increase) in the price by the amount that the resort’s EBITDA exceeds capital expenditures for the period from Nov. 1, 2016, through closing. Stowe Mountain Resort is expected to generate incremental annual EBITDA in excess of $5 million in Vail Resorts’ fiscal year ending July 31, 2018. Vail Resorts plans to integrate Stowe Mountain Resort into its Epic Pass and other season pass products for the 2017-18 winter season, subject to the acquisition closing. With the Epic Pass, Vermont skiers and snowboarders will have unlimited access locally at Stowe at an attractive price as well as the best of the West at Vail, Beaver Creek, Breckenridge and Keystone in Colorado; Park City in Utah; Heavenly, Northstar and Kirkwood in Tahoe; and Whistler Blackcomb in British Columbia, Canada. Vail Resorts just announced that the Epic Pass plans to offer unlimited, unrestricted access to Stowe Mountain Resort for the 2017-2018 winter season, subject to the closing of the acquisition. Purchasing the 2017-2018 Epic Pass now through Sunday, April 9 ensures that skiers and snowboarders will lock in the lowest price, combined with the most benefits, such as six discounted lift tickets (“Buddy Tickets”) for family and friends. Stowe will be the newest resort among 45 of the world’s most iconic mountain destinations to be offered with the Epic Pass (subject to the closing of the acquisition) – which includes 10 world-class Western destination resorts, among them Vail, Breckenridge, Park City, and Whistler Blackcomb. The addition of Stowe, for the first time gives Northeastern skiers an even better incentive to purchase the Epic pass, which pays for itself after just five days of skiing, especially if they take advantage of the early bird discounted rates. Available for $639, the Epic Local Pass offers unprecedented value to guests who are willing to plan around a few restrictions. Skiers and snowboarders would receive a total of 10 days at Stowe (subject to the acquisition closing), Vail, Beaver Creek, and Whistler Blackcomb with holiday restrictions; unlimited, unrestricted skiing or riding at Breckenridge, Keystone and Arapahoe Basin; and access with limited restrictions at Park City, Heavenly, Northstar and Kirkwood. Available at $859 for adults, the 2017-2018 Epic Pass offers access to 45 of the world’s best mountain resorts – including Stowe Mountain Resort in Vermont, subject to the acquisition closing; Vail, Beaver Creek, Breckenridge, Keystone and Arapahoe Basin in Colorado; Whistler Blackcomb in Canada; Park City in Utah; Heavenly, Northstar and Kirkwood at Lake Tahoe; Perisher in Australia; Afton Alps in Minnesota; Mt. Brighton in Michigan and Wilmot Mountain in Wisconsin. Epic Pass holders will again enjoy limited access to 30 European ski resorts including Verbier and Les 4 Vallées in Switzerland, Les 3 Vallées in France; Arlberg in Austria; and Skirama Dolomiti Adamello Brenta in Italy. Each resort delivers an iconic experience, unique alpine traditions and impeccable service. Purchasing the 2017-2018 Epic Pass this spring ensures skiers and snowboarders the lowest price, combined with the most benefits, such as six discounted lift tickets (“Buddy Tickets”) for family and friends. For guests interested in skiing Stowe exclusively, Vail Resorts anticipates offering limited Stowe-specific season pass options. Details about pricing, access and benefits will be announced after the close of the acquisition. You can purchase season passes and start planning their next winter vacations at EpicPass.com. Epic Pass™: Ski unlimited and unrestricted from opening day to closing day for only $859. The Epic Pass pays for itself in just over four days of skiing or snowboarding. Enjoy unlimited, unrestricted access to Stowe (subject to the closing of the acquisition); Vail, Beaver Creek, Breckenridge, Keystone and Arapahoe Basin in Colorado; Whistler Blackcomb in Canada Park City in Utah; Heavenly, Northstar and Kirkwood at Lake Tahoe; Perisher in Australia; Afton Alps in Minnesota; Mt. Brighton in Michigan, and Wilmot Mountain in Wisconsin for the 2017-2018 season. The Epic Pass grants limited access to Arlberg in Austria; Les 3 Vallées, Paradiski and Tignes-Val D’Isere in France; Skirama Dolomiti in Italy and 4 Vallées in Switzerland. No restricted dates. A child pass (ages five to 12) is $449. Epic Local Pass™: For $639, receive 10 days at Stowe (subject to the closing of the acquisition), Vail, Beaver Creek and Whistler Blackcomb with holiday restrictions; unlimited and unrestricted skiing and snowboarding at Breckenridge, Keystone and Arapahoe Basin; and skiing and snowboarding at Park City, Heavenly, Northstar and Kirkwood with limited restrictions. The Epic Local Pass pays for itself in just over three days. A child pass (ages five to 12) is $339. 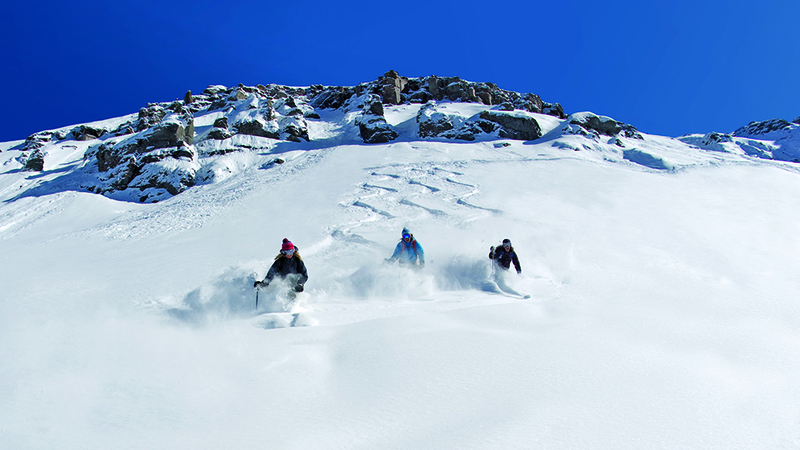 Epic 7-Day™: Perfect for skiers in search of a week of skiing. The pass pays for itself in just over three days and includes a total of seven unrestricted days valid at Stowe (subject to the closing of the acquisition), Vail, Beaver Creek, Breckenridge, Keystone, Whistler Blackcomb, Park City, Heavenly, Northstar, Kirkwood and Arapahoe Basin, plus seven free days at Afton Alps, Mt. Brighton or Wilmot Mountain. The Epic 7-Day Pass is $639 for adults and $339 for children (ages five to 12). Epic 4-Day™: A convenient option for a short ski trip. The pass pays for itself in just over two days and includes a total of four unrestricted days valid at Stowe (subject to the closing of the acquisition), Vail, Beaver Creek, Breckenridge, Keystone, Whistler Blackcomb, Park City, Heavenly, Northstar, Kirkwood and Arapahoe Basin, plus four free days at Afton Alps, Mt. Brighton or Wilmot Mountain. The Epic 4-Day Pass is $419 for adults and $229 for children (ages five to 12). Those who purchase the Epic Pass or Epic Local Pass prior to April 9 will receive six Buddy Tickets that are automatically loaded onto your Epic Pass or Epic Local Pass – the best discounted rate for lift tickets that pass holders can give to friends or family to use. For those who want to ski Stowe exclusively, Vail Resorts anticipates offering limited Stowe-specific season pass options. Details about pricing, access and benefits will be announced after the official close of acquisition. Vail Resorts, Inc subsidiaries operate 10 world-class mountain resorts and three urban ski areas, including Vail, Beaver Creek, Breckenridge and Keystone in Colorado; Park City in Utah; Heavenly, Northstar and Kirkwood in the Lake Tahoe area of California and Nevada; Perisher in Australia; Whistler Blackcomb in Canada; Afton Alps in Minnesota, Mt. Brighton in Michigan and Wilmot Mountain in Wisconsin. The Company owns and/or manages a collection of casually elegant hotels under the RockResorts brand, as well as the Grand Teton Lodge Company in Jackson Hole, Wyo. Vail Resorts Development Company is the real estate planning and development subsidiary of Vail Resorts, Inc.
Visit www.snow.com for more information.